Well, it’s time I buckled down and did something a little different. I am officially registered for the JFK 50 Mile. My first ultra. I will be going the distance… literally. I guess I can only thank one of my clients for that. She is training to do 100 miles so I figure that I have to aim for 50. It’s the least I can do. Running 50 miles for myself is great and all (okay, not sure why I used the word “great”), but I was feeling the urge to do something a bit bigger than myself. I reflected on the times that I hiked or ran to raise money for the Leukemia & Lymphoma Society. It is a great cause and I was inspired by so many amazing people (still am inspired… always). However, it is time for me to focus on another cause that is close to my heart. I am proud to be a part of the military community as a veteran and as a spouse. I am so thankful for everything that our military does and the sacrifices that are made on a daily basis. I know that some of these “sacrifices” are great losses. I must say that of course I am very proud of my Coast Guard family. They are out there saving lives, keeping drugs from infiltrating our country and protecting the coasts. It is heartbreaking when people who have served so faithfully are suffering. There are veterans out there who have lost limbs, families, friends, employment, a home and/or pride. I can’t even begin to imagine what it must be like to return home after serving in a war-torn country. That kind of transition could never be easy. Fortunately, there are organizations out there that try to help. The one that caught my attention is Team Red, White & Blue. Their mission is to help veterans connect to their community through active and social events. So far I have learned that Team RWB sponsors many types of events related to running, cycling, fitness, climbing, etc. I plan to check out the Virginia Beach group as soon as I move! This very long 50 mile run will be dedicated to my Paps. 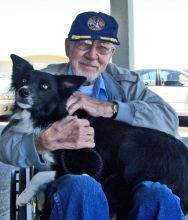 My Paps was a WWII Army veteran and a very special man. My grandparents taught me to love traveling and I could never thank them enough for showing me so much. Paps was one of the more active members of our family. He would willingly walk for miles and had no concern about taking me on wild rollercoasters that made me throw up. I got my “speed walking” syndrome from him (my husband hates it when I walk too fast). I can’t wait to get back to running on the beach so I can reflect on the many walks we shared along the beach. There was one notable time when I pointed to a Coast Guard boat and said “Paps, I think I am going to join the Coast Guard.” That took him (and me) by surprise. It was some kind of premonition and I followed through. 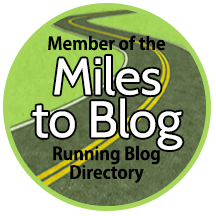 This entry was posted in Running Experiences and tagged JFK 50 Mile, running, running for a cause, Team Red White & Blue, ultramarathons, veterans.